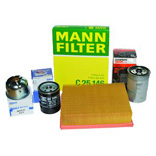 Oil filters, air filters and other engine service parts suitable for the Land Rover Discovery 2 TD5. Inc. VAT: £31.13 Inc. VAT: Info UK VAT charged at 20%. Ex VAT £25.94 Ex VAT Info Outside of EU and EU VAT registered companies only (not UK). Inc. VAT: £16.66 Inc. VAT: Info UK VAT charged at 20%. Ex VAT £13.88 Ex VAT Info Outside of EU and EU VAT registered companies only (not UK). Inc. VAT: £89.96 Inc. VAT: Info UK VAT charged at 20%. Ex VAT £74.97 Ex VAT Info Outside of EU and EU VAT registered companies only (not UK). Inc. VAT: £9.55 Inc. VAT: Info UK VAT charged at 20%. Ex VAT £7.96 Ex VAT Info Outside of EU and EU VAT registered companies only (not UK). Inc. VAT: £10.49 Inc. VAT: Info UK VAT charged at 20%. Ex VAT £8.74 Ex VAT Info Outside of EU and EU VAT registered companies only (not UK). Inc. VAT: £4.26 Inc. VAT: Info UK VAT charged at 20%. Ex VAT £3.55 Ex VAT Info Outside of EU and EU VAT registered companies only (not UK). Inc. VAT: £23.03 Inc. VAT: Info UK VAT charged at 20%. Ex VAT £19.19 Ex VAT Info Outside of EU and EU VAT registered companies only (not UK). Inc. VAT: £60.61 Inc. VAT: Info UK VAT charged at 20%. Ex VAT £50.51 Ex VAT Info Outside of EU and EU VAT registered companies only (not UK). Inc. VAT: £5.38 Inc. VAT: Info UK VAT charged at 20%. Ex VAT £4.48 Ex VAT Info Outside of EU and EU VAT registered companies only (not UK). Inc. VAT: £16.60 Inc. VAT: Info UK VAT charged at 20%. Ex VAT £13.83 Ex VAT Info Outside of EU and EU VAT registered companies only (not UK). Inc. VAT: £38.65 Inc. VAT: Info UK VAT charged at 20%. Ex VAT £32.21 Ex VAT Info Outside of EU and EU VAT registered companies only (not UK). Inc. VAT: £6.23 Inc. VAT: Info UK VAT charged at 20%. Ex VAT £5.19 Ex VAT Info Outside of EU and EU VAT registered companies only (not UK).